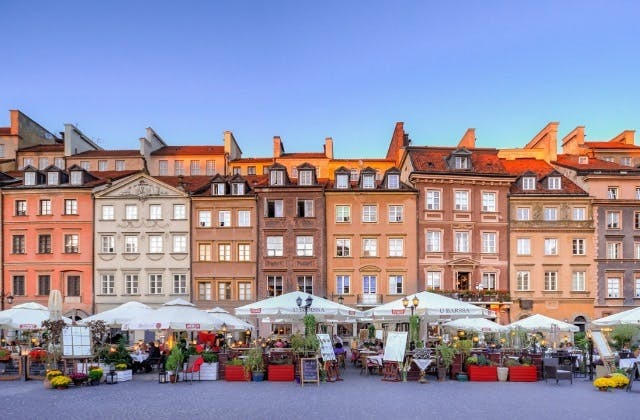 Cheap Flights to Warsaw, Poland. Return Flights. Warsaw has the UTC adjustment of 3600. The closest overseas airport to Warsaw is Kaliningrad in Russia.